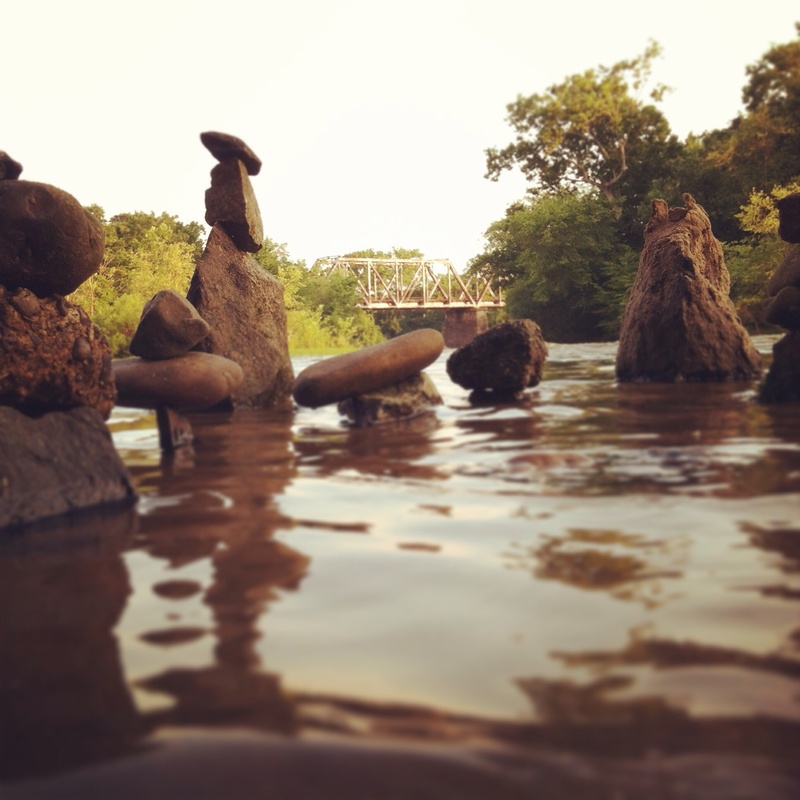 Rock cairns at the James River. We went to the farmer’s market yesterday; as we walked in, we were handed cards by two happy looking individuals, who informed us that there would be a solstice party at a local vinyard. We thanked them, pocketed the cards, and continued on our way. It was only at that point that I realized it was the first day of summer. I’ve had this entire weekend off, and its been like coming up for air after swimming underwater across a swimming pool. Its wonderful, you can’t believe how long it’s been since you last took a breath, and you find yourself a bit disoriented. I’ve had my head down in paramedic school, and did the math recently; I discovered that I had only had four days off between March 21 and June 16. I’m so close; I just completed my final hospital shift, and I’ve been approved to begin my field rides. It will be another month-long push without any days off until the second week of August, but I’ll be set to test on August 9. After that, just the written exam will hopefully remain between me and being certified as a paramedic. 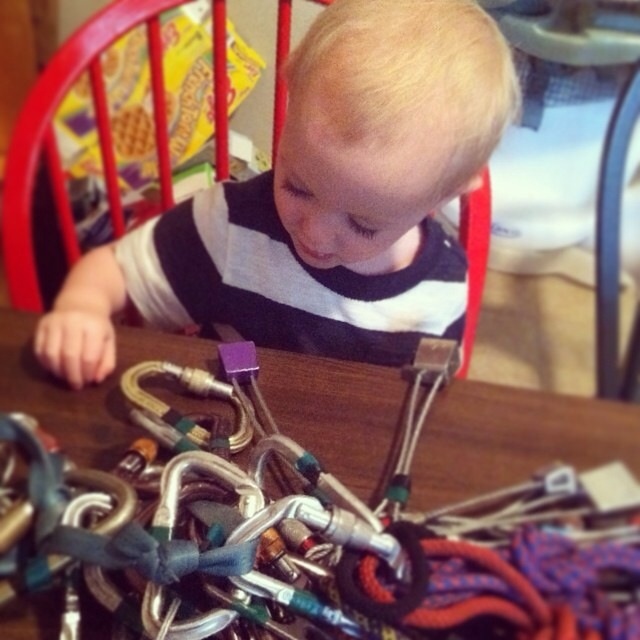 In other news, Eli started his education in the art and science of rock climbing today. I was attempting to put marking tape on some new equipment–a set of #4, #6, and #7 Black Diamond hexes–and he insisted on going through my equipment. So, I talked to him about stoppers, and carabineers, and one inch tubular webbing. I’m not sure how much he caught, but he enjoyed it. I used to do the same thing with my dad’s equipment when I was little. 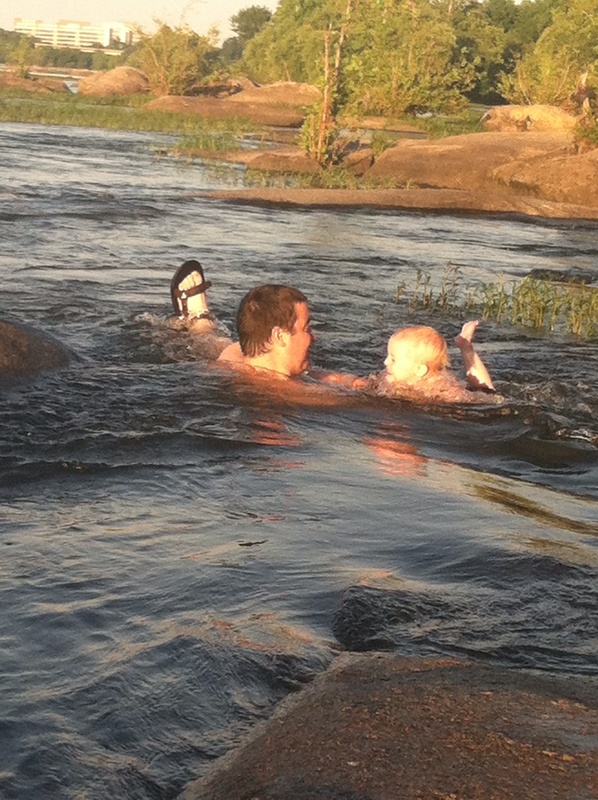 We’ve been going to the river a lot, and exploring the wonder of moving water. We continue to explore the urban green spots in Richmond. 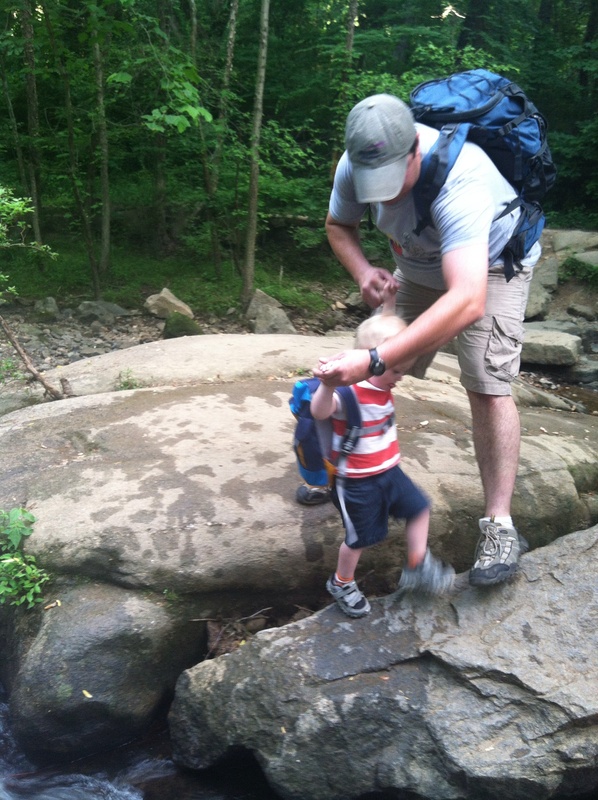 On a recent hike, Eli learned about crossing creeks on rocks, and also modeled by Wild GUYde hat. 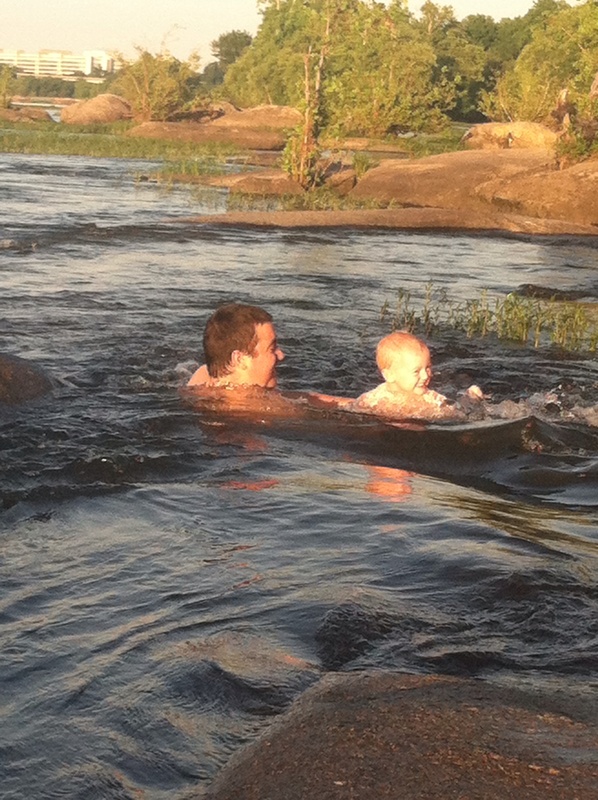 We also recently discovered a (new to us) swimming spot. I found a nice spot at the edge of a small rapid; I was able to brace my feet and sit nicely, with a nice eddy to my left and the flume running over my right shoulder. Eli had a great time body surfing in the flume, as I kept a firm grip on him (of course…). I found out later that we were apparently making onlookers nervous; a woman approached me later and said “We wanted to let you know that if anything happened, and you lost your grip on him, we were all going to jump in, and I know pediatric CPR!” I thanked her for her willingness to help, but assured her that as a former river/climbing guide/lifeguard/current EMT/Paramedic student, I had it covered. Don’t get me wrong, I appreciated her concern…I just believed it to be a bit misplaced. Good thing she won’t be there to see when Eli actually starts rock climbing with us. He loved it. Huge smiles and lots of giggling.